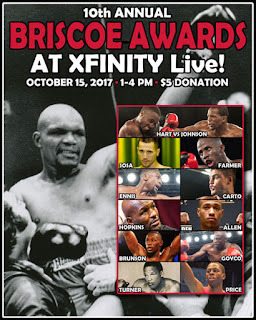 In the second installment of my interview with John DiSanto of the Briscoe Awards and Philly Boxing History.com, we discussed this year's Briscoe Award recipients. The Briscoe Awards is an annual award ceremony that honors the best of Philadelphia boxing from the previous year. "The Briscoe Awards are named in honor of legendary Philly middleweight Bennie Briscoe and the trophies given away – the Briscoe Statue and the Briscoe Medal – all bear the deceased icon’s likeness. The event brings together the local boxing community, including the award winners, their families, past and present boxers, fight fans, other boxing people, and general sports fans." The Briscoe Awards will be held on October 15, 2017 from 1:00 PM to 4:00 PM at XFINITY Live in Philadelphia. Top 5: Pride FC MMA Freakshow Fights! October 14th = A Big Day for Boxing! 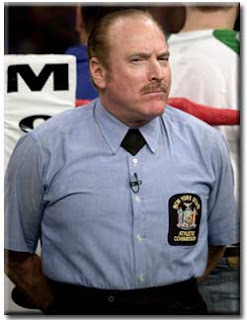 A New Division in Boxing?